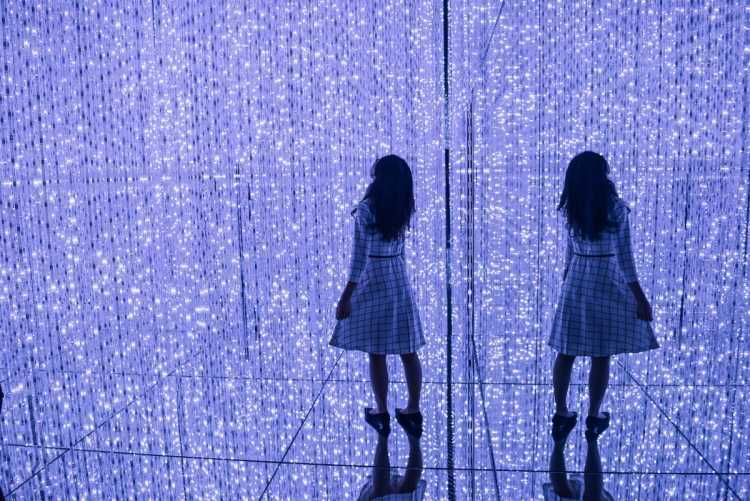 On June 21st in 2018, Digital Art Museum opened at Odaiba, Tokyo. There's various art occupying every room, and it's completely another world. It must become a popular tourist spot in Tokyo. 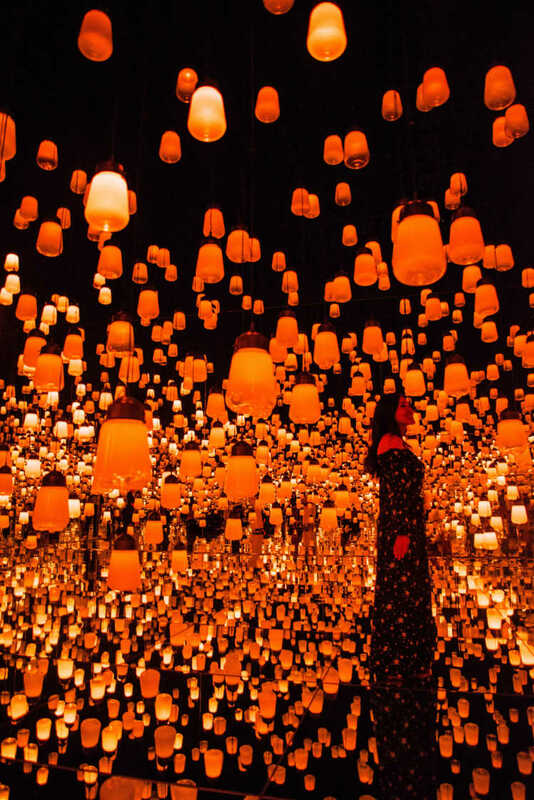 The room with many flying lanterns is like a world of Rapunzel. 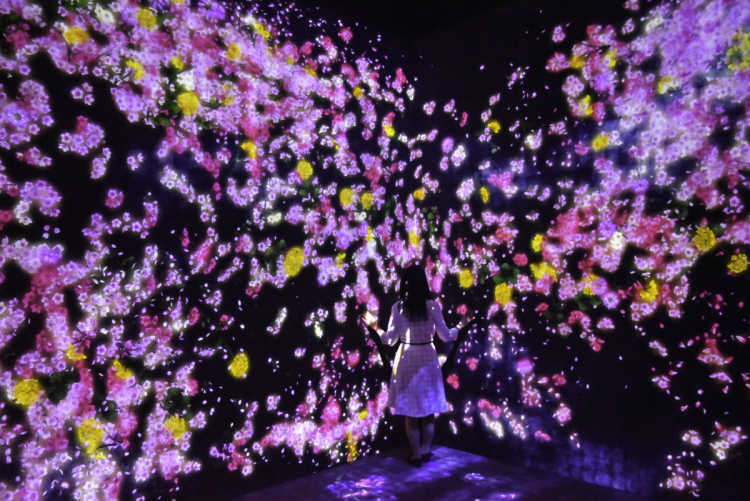 There're various digital arts that make both grown-ups and children excited. In the site, there're no maps nor guides, you need to walk and find various rooms by yourselves. 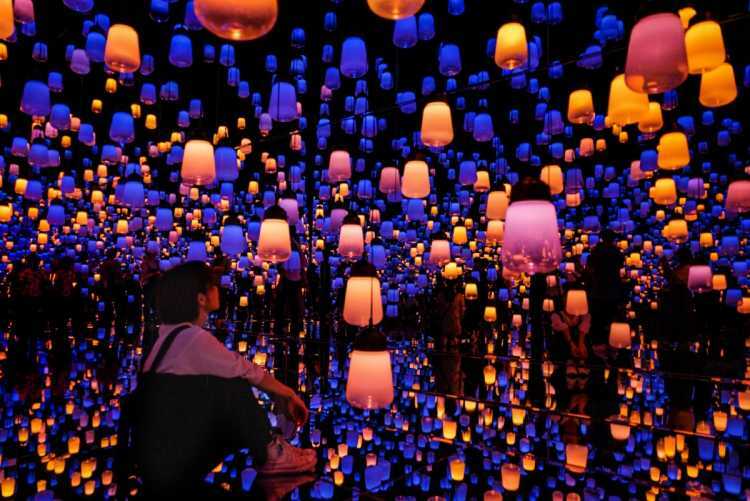 In some rooms with different concepts, you can take pictures as much as you want! 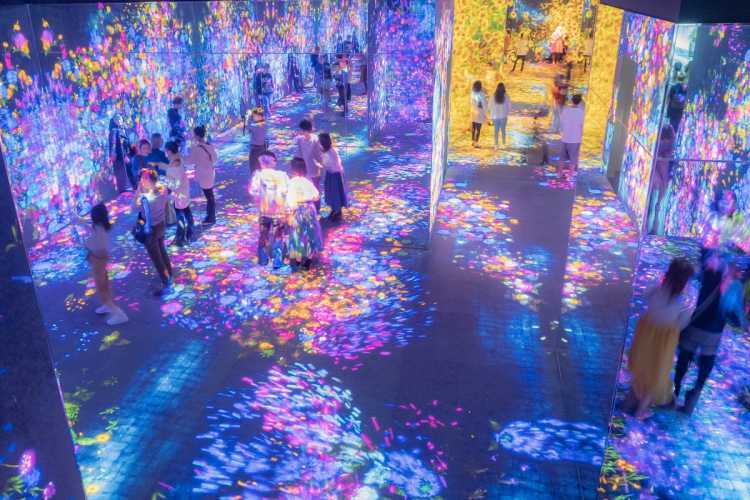 In a room walled by mirrors all around, there's a crystal world formed from countless LED lighting in many colors. 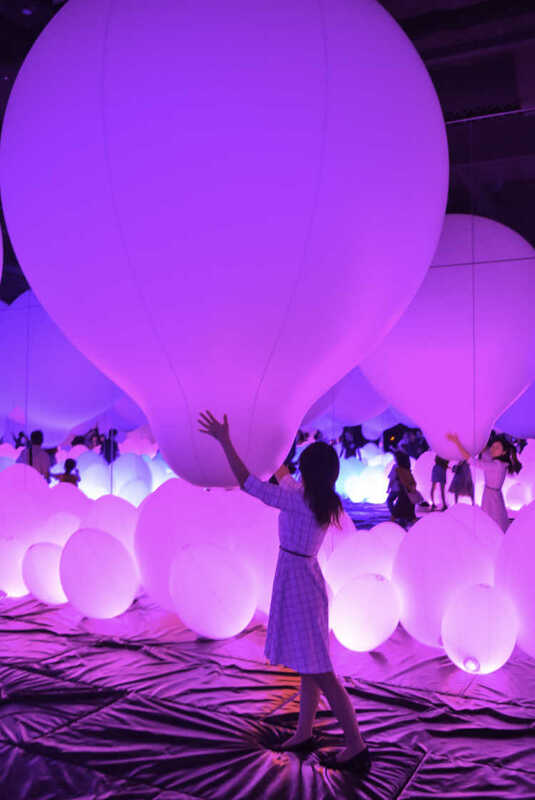 Although we know it has a limit, the beautiful room expands like border-less, and we can enjoy so impressive digital art.◎It is recommended to buy tickets on the Internet in advance. It makes us feel the change of four seasons in nature. Many circles become canvas, and fish swim on, autumn colored leaves flit on them. The fluid direction was beautiful and, somehow, people can feel relieved in this room. If you're in Instagram, you may see 'team Lab Borderless' everyday on your timeline. When I visited actually, 'explore' was a concept of it, and there were no signboards or maps! You can go anywhere you want, it depends on each of you. 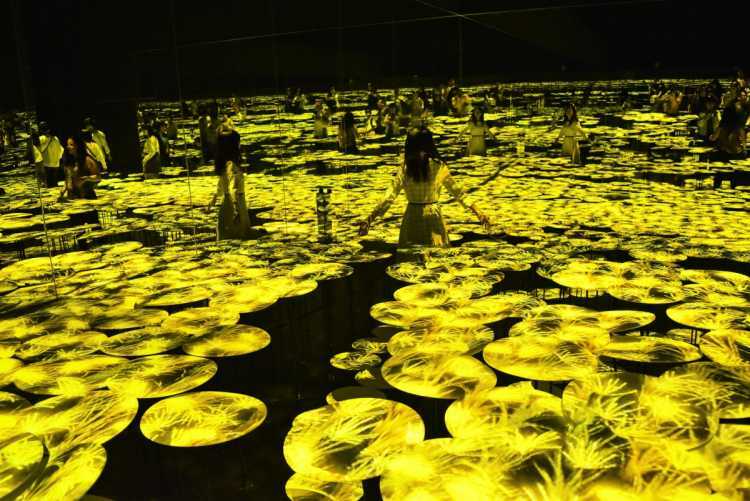 Like world in dream, there're many seasonal flowers anywhere in the whole room, as well as its floor. We can feel no borders, and the seasons mix each other. 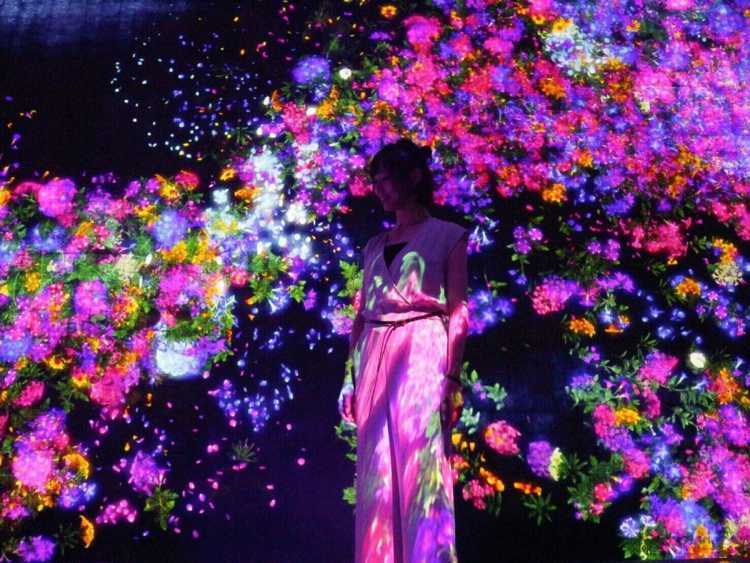 Then, we can enjoy new world of flower that changes every moment wherever we walk around. It's a place brings me emotion from start to end. I couldn't put my finger away from my camera. I bought the advance ticket, so I could enter the hall without waiting so long. It's located at Athletics Forest area. 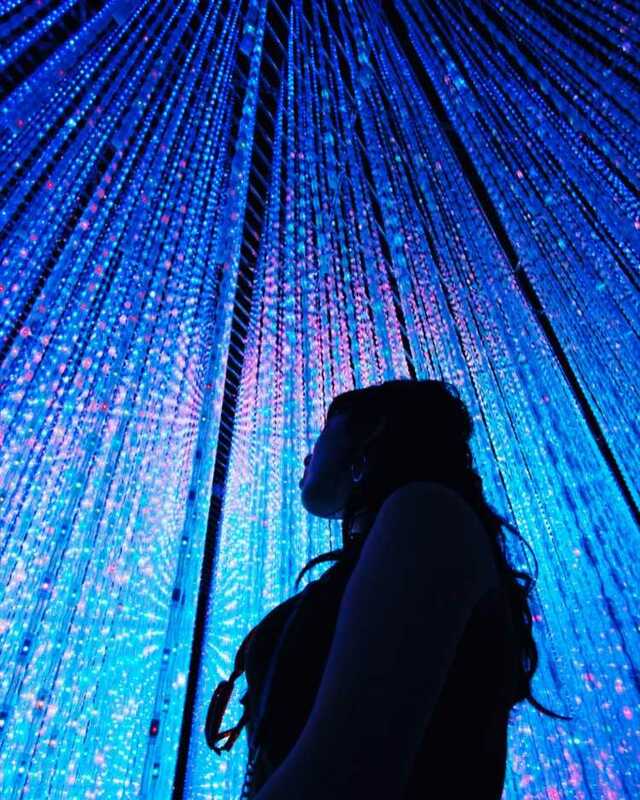 There're some objects lights in seven colors and dots the room like against gravity. We can enjoy moving and holding up the objects. Everyone, as well as small children, get excited with this art.